Katherine Newman in the Chicago Citizen proudly profiles the young woman from Chicago Eva Lewis who – as only HRD from the USA almost represented “the United States At Human Rights Defenders World Summit” [https://humanrightsdefenders.blog/2018/07/24/announcement-of-the-human-rights-defenders-world-summit-in-paris-october-2018/]. 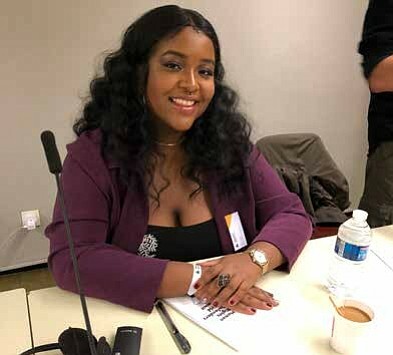 A young activist, Eva Lewis, who grew up on the south side of Chicago recently traveled to Paris to participate in the Human Rights Defenders World Summit 2018. Lewis spoke on the Americas panel, alongside activists from Latin America, and discussed youth-led movements in the United States as well as the state of black and brown people in the country. “What the Summit aims to do is bring together representatives from each country to talk about the state of human rights defenders and to brainstorm ways that we can elevate our fight for human rights and create a direct action plan that can be implemented to protect human rights defenders internationally,” said Lewis. Lewis was one representative in a diverse group of 150 human rights defenders from around the world that came to Paris for the three-day Summit. “I was on the Americas panel and I was the only US representative and also the youngest delegate at the Summit and I was the only English speaker on my panel. Everyone on the panel talked about their own fight for human rights and how it pertains to their country and the people that they were there to represent,” said Lewis. Nineteen-year-old Lewis is an award-winning student, activist, and artist. She is also known for founding the I Project, a non-profit organization aiming to create equitable communities in Chicago. 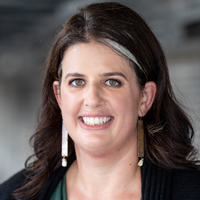 “I really liked hearing about how people structure their organizations so what I think I gained the most from the Summit is good information about how to make the infrastructure of my own organization more sustainable. The I Project is relatively new and we’ve only had a fiscal sponsorship for about a year and we are not sustainable at all and I’m comfortable admitting that because the journey is important and part of the process,” said Lewis. On 26 October 2018, the ISHR reported on how the General Assembly addressed the 20th anniversary of the Declaration on Human Rights Defenders. Special Rapporteur Michel Forst delivered a detailed reflection and assessment of global protection efforts in his report to the General Assembly this week. On 23/24 October, the Special Rapporteur on the situation of human rights defenders, Michel Forst, called the international community to action, urging open and frank dialogue and solidarity to address oppression. He addressed the UN General Assembly’s Third Committee and engaged in a dialogue on his report to the General Assembly. After surveying 140 States, the Special Rapporteur addressed the following key matters: the evolution of the use of the term ‘human rights defenders’, mechanisms and practices to support them and legal/ administrative frameworks to protect them. “20 years ago, the Declaration laid the groundwork for the protection of human rights defenders and amplified the importance of their inclusion as a stakeholder in human rights initiatives, but there is still work to be done,” said ISHR’s Legal Counsel Tess McEvoy. 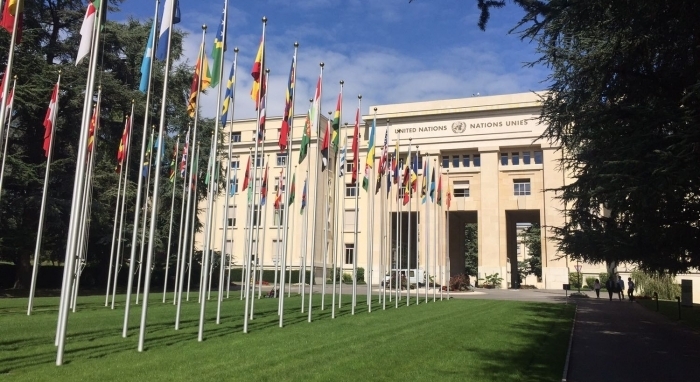 Several States voiced their support for the report and the mandate, including Spain, Iceland, Canada, Australia, EU, Poland, Ireland, Switzerland, Mexico, Liechtenstein, Estonia, Czech Republic, Colombia, France, Slovenia, Norway, US, Belgium and the United Arab Emirates. Both China and Iran criticised the report on the basis that defenders, activists and social leaders do not deserve ‘special treatment’ regardless of the risks these individuals face. Cuba rejected any attempts to paint political prisoners as human rights defenders. The Russian Federation challenged the notion of ‘State obligation’ on the basis that the Declaration of Human Rights Defenders is a non-binding document. In response to the Russian Federation’s point on the non-obligatory nature of the Declaration of Human Rights, the Special Rapporteur swiftly reminded States that while the Declaration is non-binding it reaffirms other legally binding human rights obligations. The Special Rapporteur concluded with a call to action at the upcoming Human Rights Defenders World Summit in Paris, where a statement will be prepared, including for presentation at the upcoming high-level event on defenders at the General Assembly. The Special Rapporteur also referenced a document—outlining the results of his global survey on defenders in 140 countries—which he hoped would be published on the OHCHR website without further delay. He invited supporters of the mandate to inform OHCHR of the need to disseminate the report via the OHCHR website. The Special Rapporteur referenced the study being prepared by the UN Secretary-General in efforts to protect global defenders. The report of this study will be shared with States in the coming weeks. The Special Rapporteur also voiced concern about the lack of NGO access to the UN and asked members of the Committee on NGOs to invite him in to engage with the Committee. The Special Rapporteur concluded by saying that his report to the Human Rights Council in March 2019 will focus on the situation of women defenders. What’s your single best piece of advice for handling a crisis? Focus on what you can control, take ownership of all of it, and move forward. Name a mentor or someone you admire, and why. I deeply admire my clients. 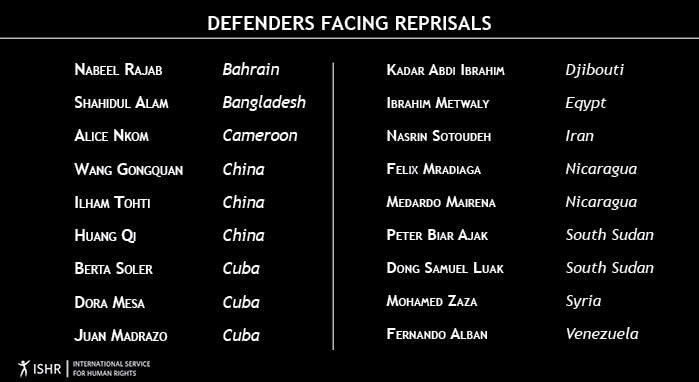 I’ve been very lucky to work for human rights defenders, for individuals who have stepped up to right a wrong, and, most recently, for asylum-seekers who have made harrowing journeys to escape truly horrendous trauma. What has the #MeToo movement meant to the legal profession? The hashtag is new, but the issues aren’t. #MeToo, #BlackLivesMatter, and #TimesUp are reminders that lawyers have a responsibility to use our privilege to challenge oppression wherever it appears. Our professional obligations include the duty to speak up when we know another lawyer has violated the rules of professional conduct; but our ability to promote justice is much broader, and we should use it. In 50 words or less, what does the legal profession need to do to improve opportunities for women lawyers? 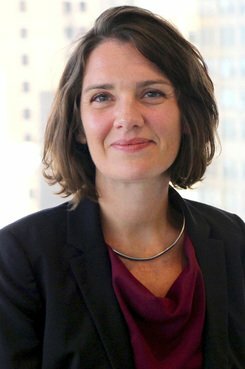 Every lawyer should seek out opportunities to teach, mentor, and otherwise make space for lawyers with less privilege: not only women, but also lawyers of color, who are LGBTQIA, who have disabilities, who are from other traditionally marginalized groups, and who are at the intersections of those identities. Human Rights Defender Henderson Hill in the USA is a campaigner against the death penalty. This is another of the profiles recently published by European External Action Service (EEAS) in the context of the 70th anniversary of the adoption of the Universal Declaration of Human Rights. [see: https://humanrightsdefenders.blog/2018/10/04/chia-wei-chi-first-in-series-of-videos-by-european-external-action-service/]. Oleg Sentsov, a Ukrainian film director, convicted to 20 years in prison for “plotting terrorist acts” against the Russian “de facto” rule in Crimea. Amnesty International has described the court process as “an unfair trial before a military court”. He has become a symbol for the approximately 70 Ukrainian citizens illegally arrested and convicted to long prison sentences by the Russian occupation forces in the Crimean peninsula. He has been on hunger strike since May 2018. Nominated by EPP. NGOs protecting human rights and saving migrant lives across the Mediterranean Sea. Since 2015, NGOs from across the EU have launched search and rescue operations in the Mediterranean to try and save the lives of refugees struggling to reach EU shores. The NGOs are: Boat Refugee Foundation, Jugend Rettet, Lifeline Rescue Boat, Médecins Sans Frontières International, MOAS, Proactiva Open Arms, PROEM-AID, Save the Children, Sea Eye, Sea Watch, and SOS Mediterranée. Nominated by S&D and the Greens/EFA. Seyran Ateş, a German lawyer of Turkish origin, fighting against political and religious extremism and the oppression of women. She was behind the establishment of the Ibn Rushd Goethe Mosque in Berlin, where men and women can pray together and has received numerous death threats and has to have round the clock protection. She was nominated by ECR, Hans-Olaf Henkel and 40 other MEPs for her “commitment to the protection of human rights and her devotion to a modern and open Islam”. Caesar is the code name of a former Syrian military photographer who smuggled more than 55,000 pictures out of Syria exposing the war atrocities. Their authenticity is confirmed by the Human Rights Watch. Caesar’s photographs will play a vital role in building criminal and civil cases against those responsible for the crimes documented. Nominated by ALDE. Nasser Zefzafi is the leader of Hirak, a mass protest movement in the Rif region, Morocco, fighting corruption, oppression and abuse of power. He was arrested in May 2017 and sentenced to 20 years in prison for “conspiracy against the security of the state”. On August 2018, King Mohammed VI pardoned 188 Hirak activists, but Zefzafi was not among them. At the end of August he went on hunger strike to denounce his conditions of detention. Nominated by GUE, Kati Piri, Judith Sargentini, Marie-Christine Vergiat and 39 other MEPs for his fight “against oppression and abuse of power”. Dewayne Johnson is a former groundskeeper from the US who has just won a landmark case against Monsanto. He was the first person to take Monsanto to trial over allegations that the chemicals sold by the company under the herbicide brand Roundup cause cancer. At the end of the process Dewayne had just months to live, yet he took the stand and described his pain and suffering. Nominated by EFDD as an inspiration “for those afraid to go to court and defend their rights”. AfriForum is an NGO that aims to protect the rights of minorities in South Africa, with a specific focus on the rights of Afrikaners. It focuses on raising national and international awareness about farm attacks, murders and the expropriation of farm land without compensation, which threatens property rights, food supply and food security. Nominated by ENF. Mary Wagner is a Canadian activist who has been arrested on multiple occasions and accused of “disturbing the business” of an abortion clinic in Toronto. She remained in prison for not complying with a probation order to stay away from abortion clinics. She was nominated by Marek Jurek and 41 other MEPs for her work “safeguarding the rights of those who cannot speak for themselves”. On Myanmar, the creation of the independent investigative mechanism is an important step towards accountability for the horrific crimes committed in Myanmar, as elaborated in the Fact Finding Mission’s report to this session. 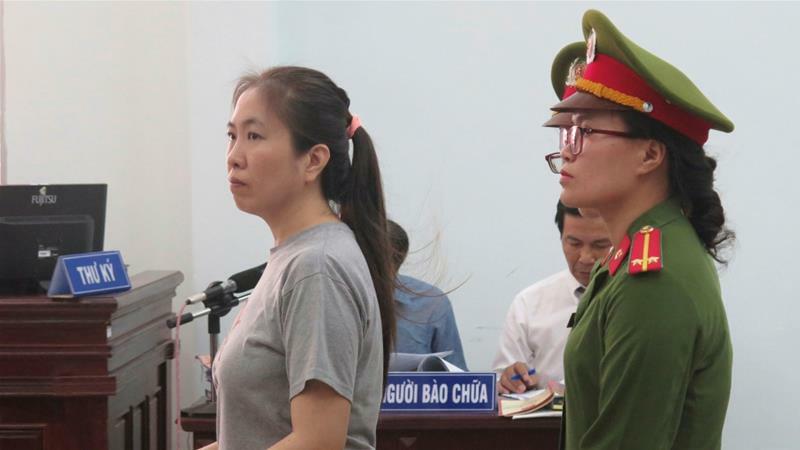 The overwhelming support for the resolution, notwithstanding China’s shameful blocking of consensus, was a clear message to victims and survivors that the international community stands with them in their fight for justice. Furthermore, the leadership by a group of States, including Latin American countries, on the landmark resolution on Venezuela, was as an important step for the Council applying objective criteria to address country situations that warrant its attention. The resolution, adopted with support from all regions, sends a strong message of support to the Venezuelan people. By opening up a space for dialogue at the Council, the resolution brings scrutiny to the tragic human rights and humanitarian crisis unfolding in the country. The Council also adopted a resolution on Syria, which among other things condemns all violations and abuses of international human rights law and all violations of international humanitarian law committed by all parties to the conflict. On Sudan, the Council adopted a weak resolution that envisions an end to the Independent Expert’s mandate once an OHCHR office is set up; a “deal” Sudan has already indicated it does not feel bound by, and which is an abdication of the Council’s responsibility to human rights victims in Sudan while grave violations are ongoing. At a minimum, States should ensure the planned country office monitors and publicly reports on the human rights situation across Sudan, and that the High Commissioner is mandated to report to the Council on the Office’s findings. The Council failed to take action on the Philippines, in spite of the need to establish independent international and national investigations into extrajudicial killings in the government’s ‘war on drugs’, and to monitor and respond to the government’s moves toward authoritarianism. In addition, the Council continued with its weak response to the deepening human rights and the rule of law crisis in Cambodia, failing to change its approach even when faced with clear findings by the Special Rapporteur demonstrating that the exclusive focus on technical assistance and capacity building in the country, is failing. Many States, NGOs and the High Commissioner, raised concerns about China’s human rights record, specifically noting serious violations of the rights of Uyghurs and other predominantly Muslim minorities in Xinjiang province. It is regrettable that States did not make a concrete and collective call for action by China to cease the internment of estimates ranging up to 1 million individuals from these communities. On thematic resolutions, the Council adopted by consensus a resolution on equal participation in political and public affairs, as well as a resolution on the safety of journalists. The latter sets out a clear roadmap of practical actions to end impunity for attacks. The Council also adopted by consensus a resolution on preventable maternal mortality and morbidity and human rights in humanitarian settings. Women and girls affected by conflict have been denied accountability for too long. The implementation of this resolution will ensure that their rights, including their sexual and reproductive health and rights, are respected, protected and fulfilled. The public is being invited to submit nominations for the human rights prize awarded biennially by the University of Connecticut. For more on the Thomas Dodd Human Rights Award see: http://trueheroesfilms.org/thedigest/awards/thomas-j-dodd-prize-in-international-justice-and-human-rights. Nominations are being accepted online through 1 October. A group of 18 NGOs sent a joint letter to US ambassador to the United Nations Nikki Haley in response to a letter sent by Haley to the organisations after the US withdrawal from the UN Human Rights Council. On 17 May 2018, 18 NGOs had sent private letters to Member States urging them to not support the US proposal to reopen the Council’s institutional framework at the General Assembly. Read the joint letter below.